Comparing two files can be required by any person but mostly its required by the developers who works on different releases of the same software. Many applications are available on the internet to compare files but what is important to choose a software to compare two files is the simplicity and free software. Win merge is a small application which is free and very easy to use. 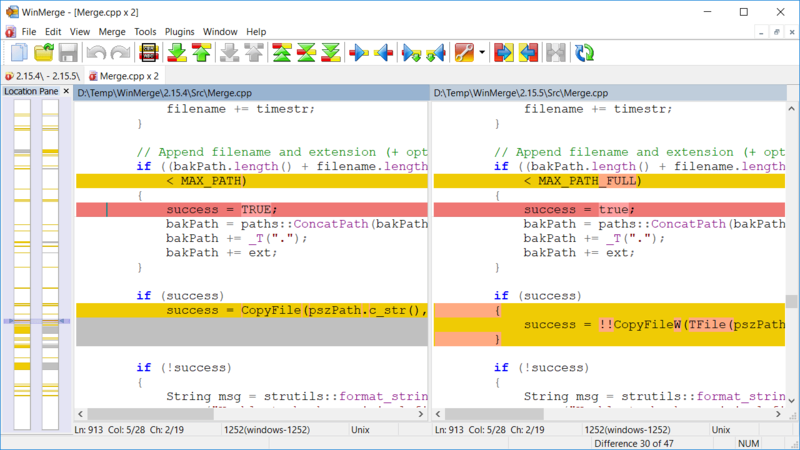 You just need to choose two files to compare and reset leave on the Win Merge application. It will give the comparison in a very colorful way that makes it even more easier to use. Win merge can be downloaded free of cost from under given location. One can try to calkl the amount or send a communication. Read the terms and conditions without overlooking anything that might seem negligible.